Major dental work may qualify as a tax write-off. 1. Can You Write off a Doctor's Copay on Your Taxes? 3. Can Non Prescription Drugs Be Claimed as an Expense on Schedule A? Major dental work such as braces and dental surgery can cost thousands of dollars. Even routine visits to the dentist can get pricey. The Internal Revenue Service considers dental care costs a medical expense. However, that does not automatically mean major dental work will count as a deduction for income tax purposes. In order to use dental and other medical expenses as deductions, you have to file an itemized tax return. You may claim only unreimbursed medical expenses, including dental expenses that are in excess of 7.5 percent of your adjusted gross income. For example, if your AGI is $80,000, the first $6,000 in unreimbursed medical expenses is not tax deductible. All medical and dental expenses in excess of that figure can be used as a tax deduction. As of the end of 2012, the threshold for deductibility will increase from 7.5 percent to 10 percent of AGI. Major dental care costs that may be included in your medical expenses for tax purposes include dental surgery, braces, extractions and artificial teeth. Hospital stays are also qualified expenses, as are related costs such as X-rays and medications prescribed by your dentist. In addition, routine and preventive dental care such as teeth cleaning and visits to your dentist are allowable. These must be included with your other medical expenses. There is not a separate deduction for dental expenses only. 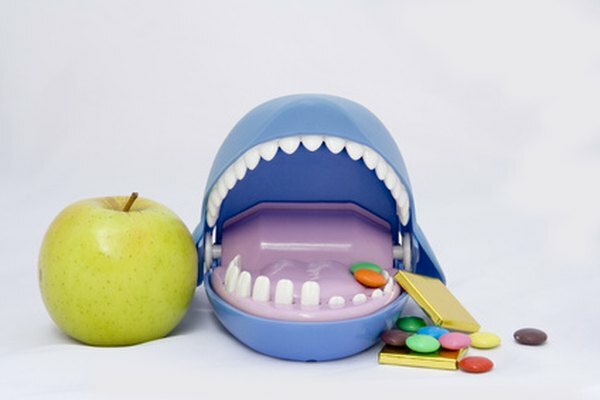 Nonprescription medications are not tax deductible unless recommended by your dentist. You may not deduct any dental expense if the cost is reimbursed by health or dental insurance, although the premiums for the coverage may be tax deductible if you, rather than your employer, pay them. Finally, you may not deduct dental or health care costs paid for through a health savings account or employer-provided reimbursement plan. A health savings account is a savings plan you can use to pay unreimbursed medical and dental expenses with pretax dollars. To qualify, you have to be covered by a high-deductible health care plan. You can deduct contributions to a HSA up to the amount of your deductible or an annual limit set by the IRS, whichever is less. Your employer may make all or part of these contributions for you tax free. Money you withdraw and use to pay qualified medical expenses is not taxable, and unused funds can be rolled over to use in future years.